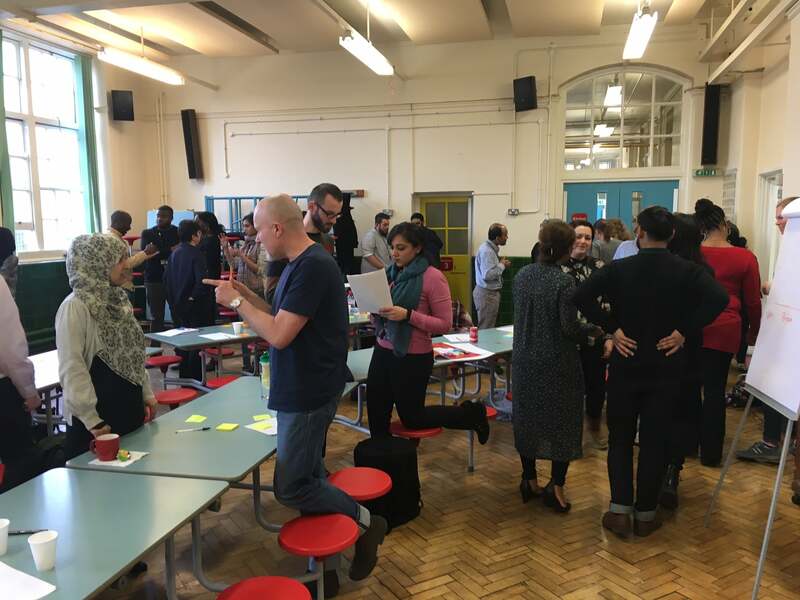 Promote Your Schools Consultants recently ran a vision and values workshop at Osmani Primary School with SLT and staff. Remi Atoyebi has been the head teacher of Osmani Primary School’s for ten years this year. The school itself is also celebrating the big 3-0. For Remi and her staff this year felt like a poignant time providing them with a natural opportunity to reflect on all the progress and achievements to be proud of so far and a time to question how best they as a staff could take Osmani forward for the next 10 years. Remi and the team were very conscious of the fact that even when things are going well improvements can be sought and were keen to do this in order to cohesively decide how Osmani should shape its future. At the heart of any school lies a vision and values that are clearly defined and understood. A school’s values underpin the culture that drives the teaching and learning in school and therefore the pupil’s experiences. 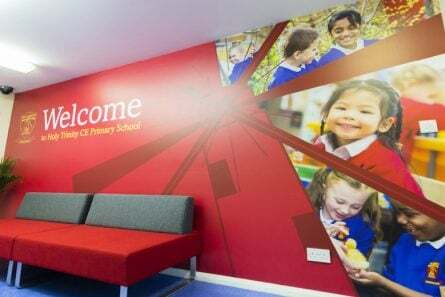 The values also drive parent and employee engagement, the desirability of the community to be part of the school and the strategic decision-making of senior leaders. Remi and her team decided that the values established ten years ago needed reviewing to reflect changes in the community, in staff and pupils and policy changes within education. Osmani school’s vision and values were not as strong as they once were and that to move forward, they needed to be clarified and re-established as a whole school. Remi approached the Promote Your School team to discuss some bespoke value boards that would communicate, encourage and promote the school’s visions and values and celebrate the ten years of her headship. First though, Promote Your School visited Osmani to run a whole day Vision and Values workshop to identify what the new vision and values would be. The Promote Your School coaches worked firstly with the Senior Management Team for a morning workshop. During this session the staff were encouraged to look at the current vision history and define what had worked well with it in the past and what was working/not working about the vision now. Time was also devoted to identifying the schools current strengths and weaknesses and prioritising these. From this session emerged some clear missions, visions and a core set of six values that incorporated good practice and current school requirements, such as Rights Respecting and Growth Mindsets, but that also help shape the schools strategic direction for the future. The Senior Management Team also worked with the coaches to carry out some implementation planning. Through this they identified key ways in which their vision and values could be communicated and their mission achieved within school, thus applying their new values to their strategic decision-making. The afternoon was spent with the whole school staff. 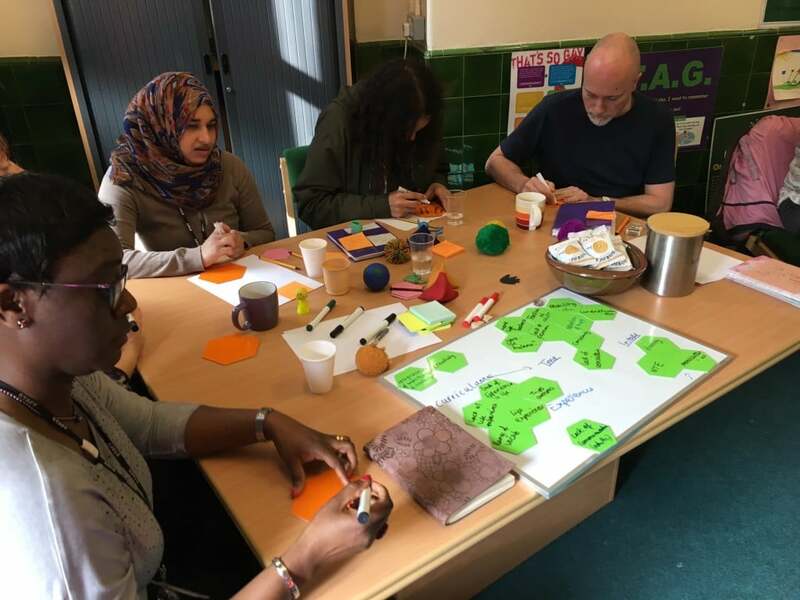 Staff were encouraged to reflect upon their own professional goals and to create their own personal missions and values. From this it became evident that the staff of Osmani are a unified body with common goals and are all striving to provide the best opportunity for every child. Four main personal values emerged amongst the staffing body and it was clear to see that these were all ‘driving’ values that underpin the core vision that the Senior Management Team had reached earlier in the day. 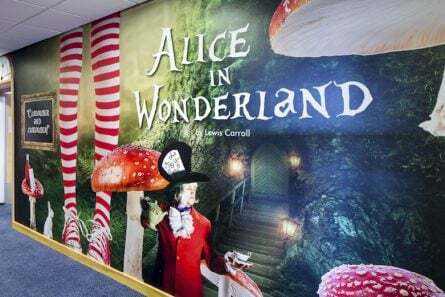 Plentiful time was then given to the staff to work together to encapsulate the core values into a vision that was memorable, meaningful and unified. Both sessions were exciting and energising. The strong sense of community, commitment and cohesion within the school was tangible. Every member of staff fully engaged with the activities, even when deep thinking and soul searching was required. Throughout the day participants were challenged and made to question their ideas and the schools current practice and in some cases change their direction completely from when they first walked in the room. Every member of staff rose to the challenge. Based on the values and visions created as a result of the workshop, our team of designers are currently busy creating a unique set of value boards to showcase the future of Osmani School and its community. Watch this space to see what happens next. 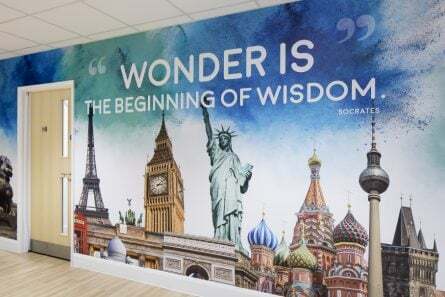 If you are interested in having a Visions and Values workshop in your school please contact Lisa Savage to discuss your requirements further on lisa.savage@promoteyourschool.co.uk or call 020 7404 3400.